In the global smartphone market, Samsung’s 2018 Q3 shipped 72.3 million units, which is still the world’s number one, but down 13% year-on-year. Since the release of Huawei Mate 20 Pro, Huawei’s mobile phone sales have increased by 20%. We have selected several best wallet case for Huawei Mate 20 Pro as a review today. 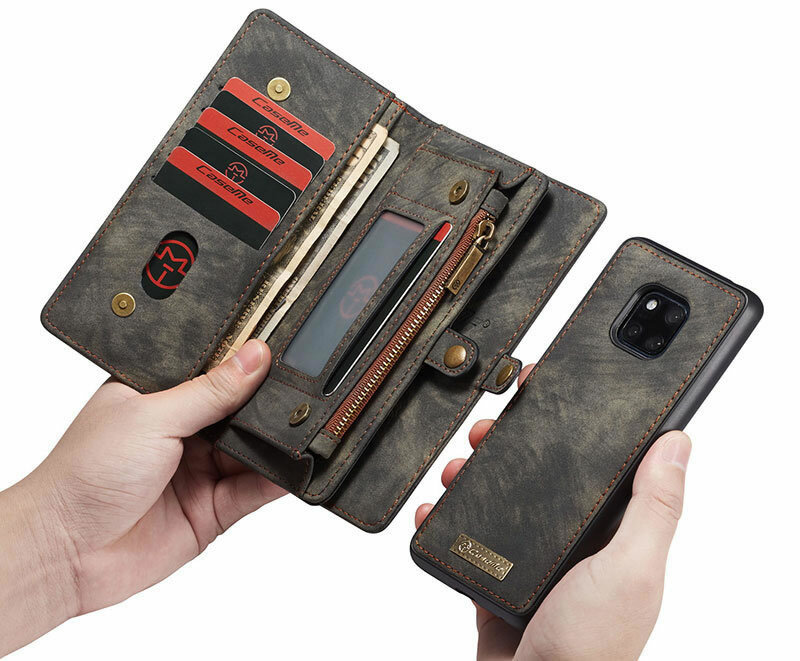 This Huawei Mate 20 Pro wallet case is comparable to Moshi Overture’s storage capacity. The CaseMe phone case is designed to ensure that all cards are not in contact with the phone’s screen. The 2-in-1 design allows the phone case to be used separately. A secure magnetic accessory secures your device in place, and its slim design makes it very lightweight to carry without sacrificing the phone’s stylish design. High-quality artificial leather reinforced stitching will complement your Huawei form and function. It is also suitable for all magnetic car holders. Huawei’s Mate 20 Pro phone is putting pressure on Samsung phones. Their next-generation flagship Samsung Galaxy S10 and Samsung Galaxy S10 Plus will launch the Qualcomm Snapdragon 8150 chip to enhance their competitiveness with Huawei Mate 20 Pro.